Schools in Ottawa will reopen on Tuesday and power has been restored to nearly all of the city, but the cleanup from what is now confirmed to have been three tornadoes has only just begun. Environment Canada said Monday that a severe thunderstorm caused an EF-1 tornado to developed over Calabogie, Ont., at around 4:15 p.m. on Friday afternoon. The tornado damaged several houses on its path of destruction, which ended near White Lake. EF-1 tornados have wind speeds of up to 175 km/h. 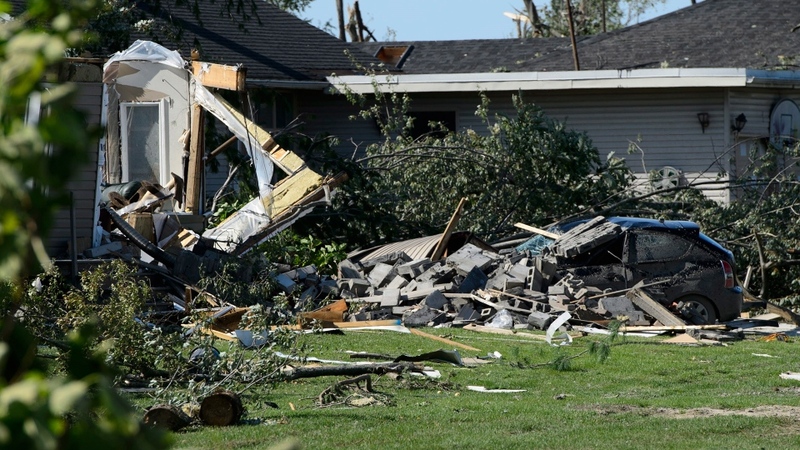 That same storm created an EF-3 tornado at about 4:45 p.m. that tore through the rural Ottawa neighbourhoods of Kinburn and Dunrobin before striking Gatineau, Que. The twister, which may have had winds as high as 265 km/h, ripped apart homes, overturned vehicles and snapped trees and hydro poles. At around 6 p.m. Friday, a second thunderstorm produced a third tornado. The EF-2 had wind speeds of up to 220 km/h. It damaged homes and took down trees and hydro poles in the Arlington Woods and Greenboro areas of Ottawa, according to Environment Canada. As of Monday evening, just over 3,800 properties in Ottawa remained without power. That was down from 170,000 on Saturday and 70,000 on Sunday. Across the river in Quebec, Hydro-Quebec was reporting approximately 11,000 properties were still without power. As a result of the outages, many residents spent the day dumping the spoiled contents of their refrigerators into specially provided bins. More than 50 houses on the Ontario side of the border were destroyed by the storm, mostly in Dunrobin. 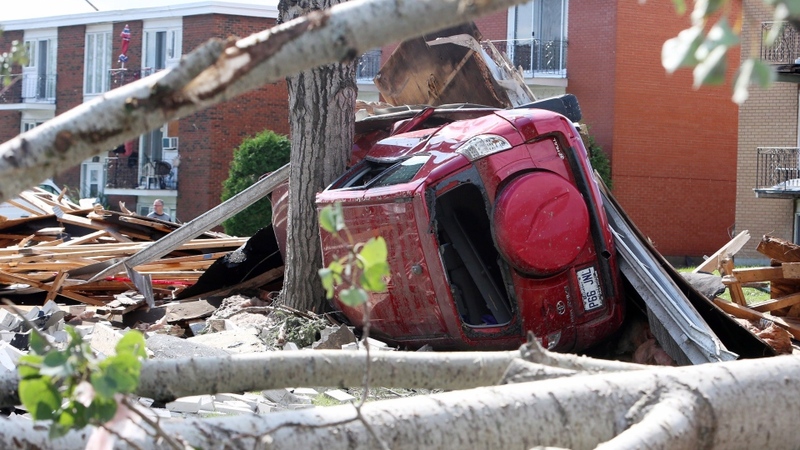 In Gatineau, more than 200 structures, including a number of apartment buildings, were damaged or destroyed. In Kinburn, homeowner Jason Nicholson had an emotional day as he revisited his home, which is clearly unsalvageable. His brother’s home was also destroyed. “We’ll pick up what we can and we’ll start over,” he told CTV Ottawa, choking back tears. Nicholson, along with his wife and three children, were not home when the twister struck. He said a kind neighbour is housing the family while they sort out insurance, which hasn’t come through yet. “We’ve sent emails to the insurance company, we’ve called and left messages. Not really any response yet,” Nicholson said. Approximately 30 people were injured by the tornadoes, five of whom were listed in critical condition. Four of the five remained in hospital as of Monday morning. 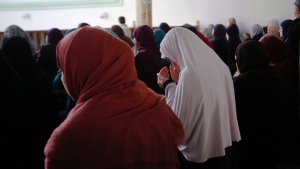 Ottawa Mayor Jim Watson Mayor Watson said some Dunrobin residents had been allowed back into their homes under the supervision of police officers and firefighters. “Some were able to get the firefighters to help them find things like passports and important documents,” he said. Monday’s priorities for the city included clearing toppled trees that were blocking roads and cleaning out ditches filled with debris ahead of rain that is forecast for Tuesday. Officials are worried about the risk of flooding, particularly because sump pumps require electricity to work. Federal employees in the Ottawa area were asked to work from home Monday possible, with the government saying it would put less strain on the region’s electrical grid and on roads where traffic lights were not operating. They are expected to return on Tuesday. “It really was the right decision because we didn’t want to have roads jammed up causing more accidents,” Watson said. 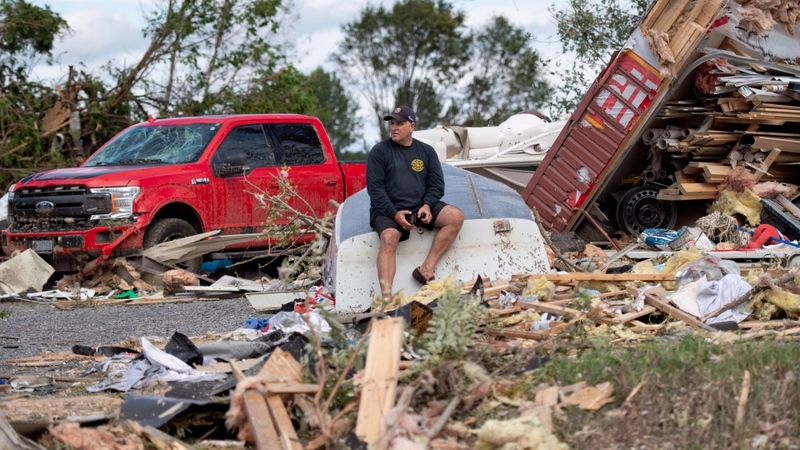 The Red Cross said that more than 1,500 people have registered with it across Ontario and Gatineau following the tornadoes, adding that it has so far provided temporary emergency shelter to approximately 100 people. Some residents credited the relatively new wireless alert system that started broadcasting in April for saving lives.